On the 14th of March 2018, the fDi magazine, a division of the Financial Times Ltd., has named the Međimurje region as one of the Top 10 small regions of the Future 2018/2019 in terms of attractiveness of investments in Europe. The award was presented to County Prefect Matija Posavec in Cannes, France. Međimurje has been presented as an attractive business destination that brings European values and business practices to Croatia, providing good education, prosperity as well as innovation. 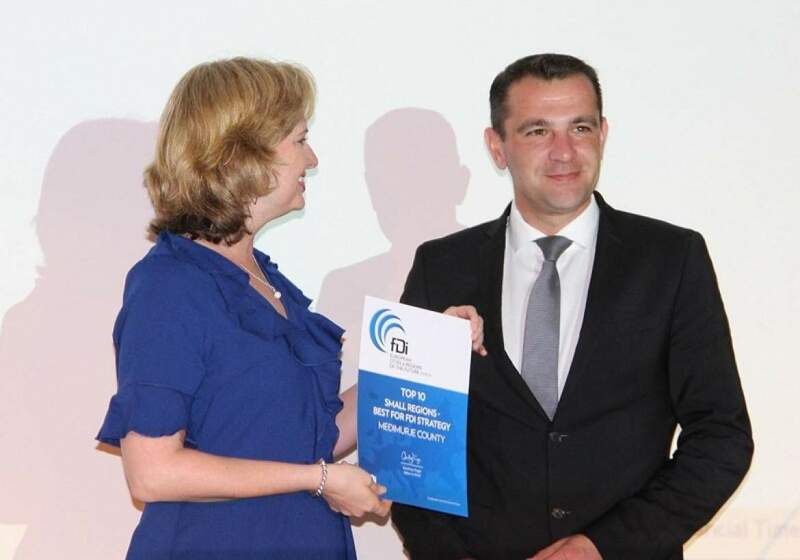 Posavec noted that this was a further acknowledgement that the region was doing a good job, which has been recognized in European business circles. “We now have the responsibility to continue delivering positive economic results and further improving them,” said Posavec, who also had a working meeting with Andrej Fistravec, Mayor of Maribor (IRE member city) and Vitali Klitscho, the Mayor of Kiev. They agreed to continue the long-term cooperation of their regions.